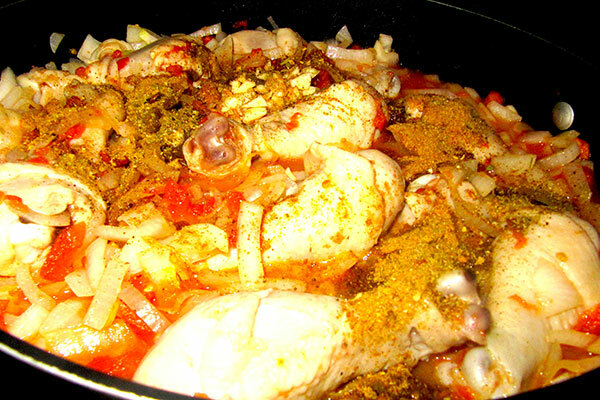 Here comes a traditional Georgian dish that also happens to be very popular in Sochi! 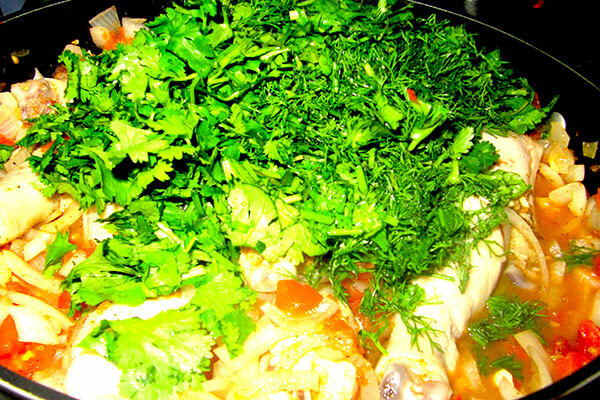 Truth be told, there are many Chahohbili Chicken recipes out there, some of them having to do with game bird and what not, but we personally prefer this one for its simplicity (and also the fact that it doesn’t involve any hunting whatsoever – regular grocery store chicken will do just fine, bonus points if it’s grain-fed). That being said, if you guys (and gals) have an interesting variation on this recipe (that doesn’t involve hunting), we’re all ears! 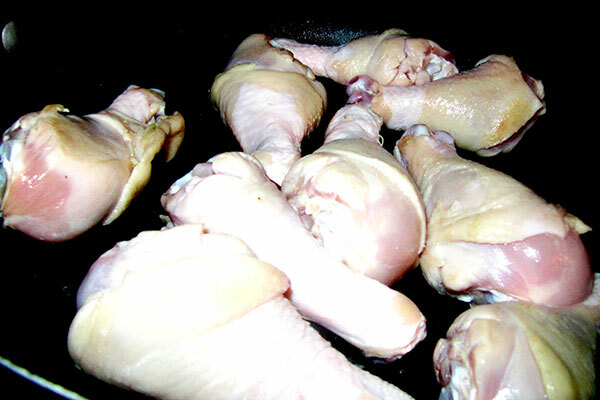 Chickens legs or breast - 1 kilo. 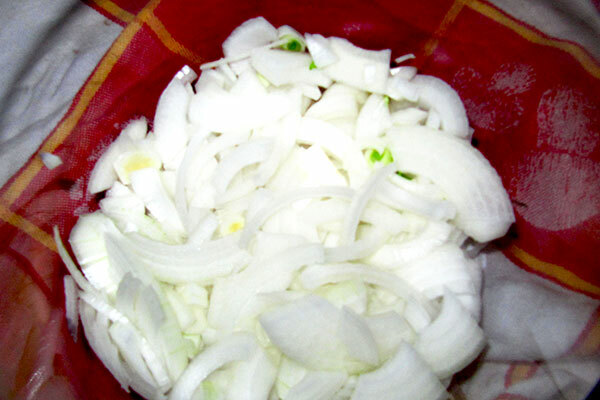 5 medium-size onions or 2 big ones. 1 to 2 tbsp. 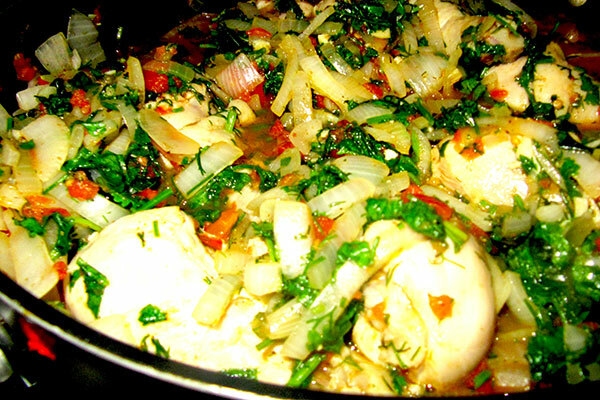 of Hmeli-Suneli (Georgian spice - available in Russian groceries or online). 1 to 2 tbsp. of Adjika (Georgian spice paste - available in Russian groceries or online). 1. 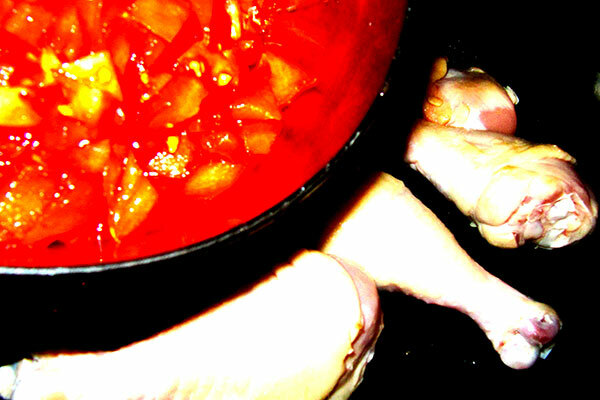 Rinse your chicken and dry it thoroughly. 2. 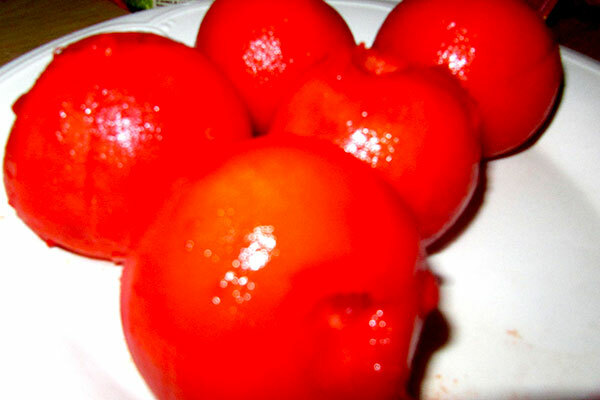 Put tomatoes in boiling water for a minute and retrieve. Remove the skin (should be easy). 5. 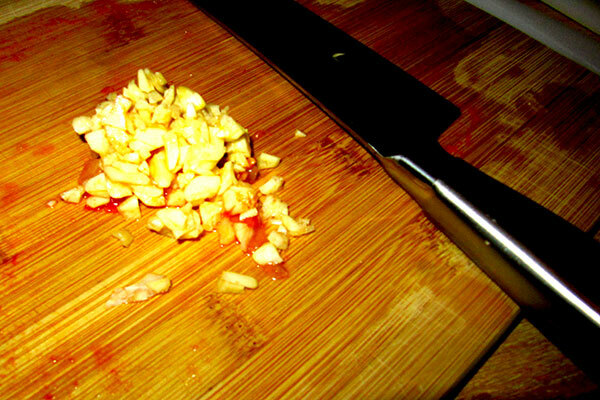 Crush and then mince the garlic. 6. 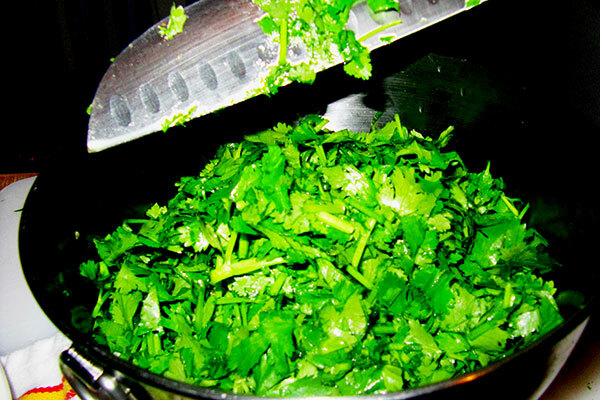 Mince coriander, dill and basil. 7. 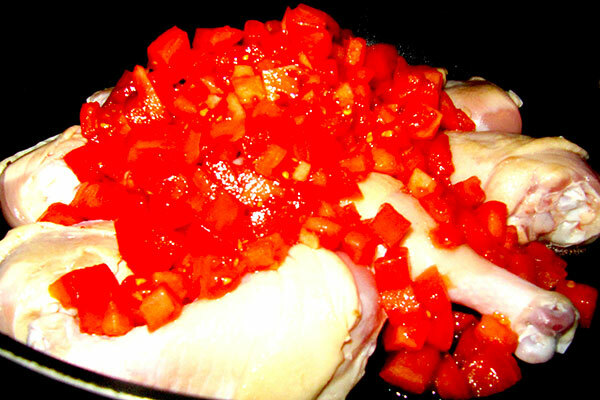 Place the chicken in a hot pan but WITHOUT OIL. Brown chicken while shaking constantly. Make sure it doesn't stick. 8. 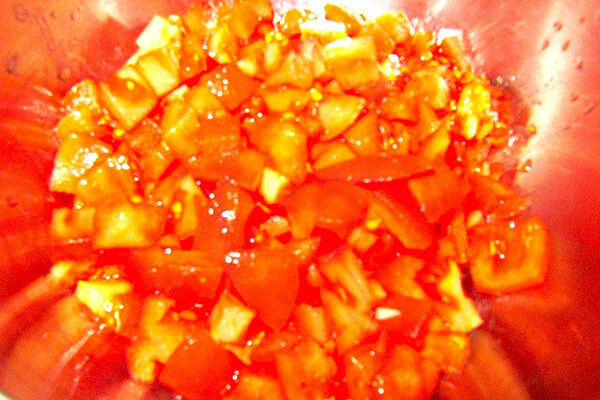 Mix in the tomatoes, shake it around and let it cook for 10 minutes. 9. 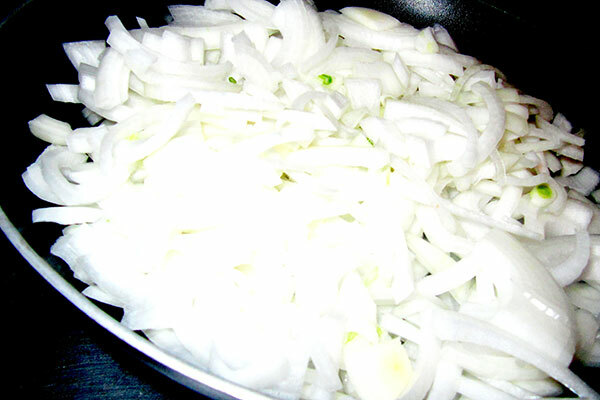 Fry the onions in another pan, with oil this time, for 5 to 6 minutes. 10. 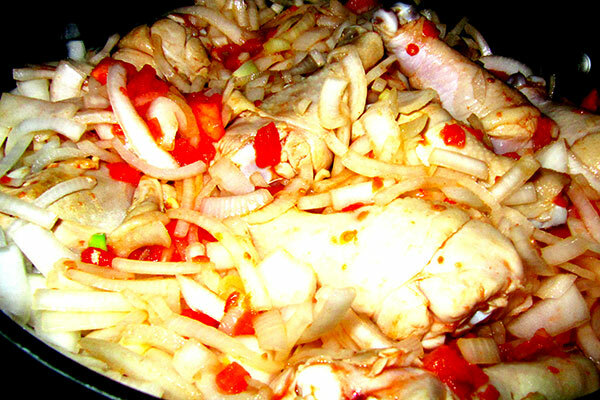 Add the onions to the chicken/tomatoes mix, stir everything, cover and let cook on medium heat for some 40 minutes or until chicken is ready. If you notice that there it's getting dry in there, add either half a cup of hot water, or half a cup of red wine. We tend to favour wine. 11. 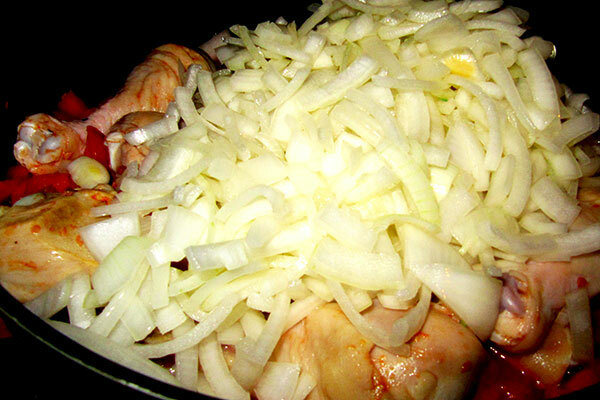 Throw in all the spices and mix thoroughly. 12. Let it all simmer for an additional 10 minutes. 13. 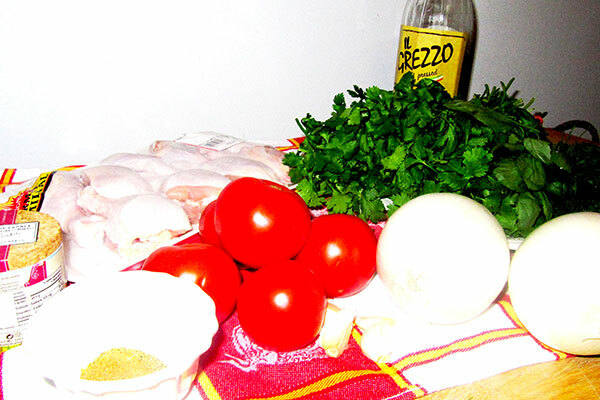 Enjoy on rice, on pasta, with boiled potatoes, or by itself, your call really!